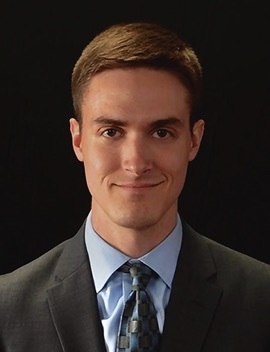 Joshua Kearney is Director of Athletic Bands at the University of Nebraska at Omaha where he is responsible for all aspects of the athletic band program, teaches courses in music education and conducting, and directs the University Band. A native of Tennessee, Kearney served as a teacher in the public schools south of Nashville. He has worked as an adjudicator and/or guest conductor for bands of all levels, and he has given clinic presentations across the region—most notably at the 2015 Midwest Band and Orchestra Clinic in Chicago and at the 2018 North Central Division conference of the College Band Directors National Association (CBDNA). As an advocate of new music, Kearney regularly works with composers in the creation and performance of new works for winds. In 2014, he was honored by the National Band Association as one of three young conductors selected to conduct the “President's Own” United States Marine Band as part of the semiannual Young Conductor/Young Composer Mentor Project where he worked alongside composer Anthony O'Toole. His direct efforts have contributed to new works by Donald Grantham, Steven Bryant, Joe Krycia, and Anthony O'Toole. Dr. Kearney is an active editor and arranger, having provided music for the UNO Athletic Bands, the Spartan Marching Band of Michigan State University, the UNO Symphonic Wind Ensemble, the Columbus State University Wind Ensemble and Trombone Choir, and the Springer Opera House (GA). Kearney's critical edition of Emil Hartmann's Serenade for Winds (Op. 43) was published in 2017 by Boosey & Hawkes in their acclaimed Windependence Chamber Music series. Kearney earned Bachelor and Master of Music degrees from Columbus State University (GA) and a Doctor of Musical Arts in Wind Conducting from Michigan State University. He holds affiliations with the Nebraska State Bandmasters Association, Nebraska Music Educators Association, National Association for Music Education, College Music Society, and the College Band Directors National Association.